That time of year is upon us. When we're about to be on gift shopping sprees and not a free weekend is in sight. 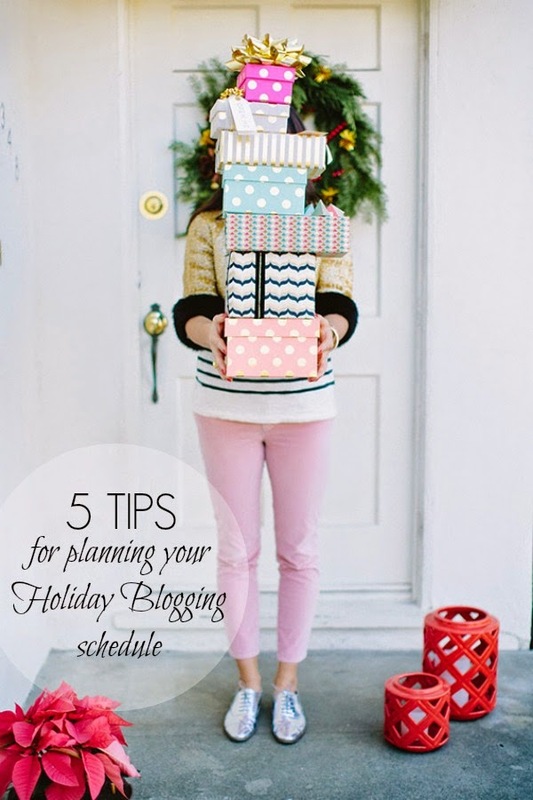 I thought it may be helpful to my fellow bloggers out there to share my top five tips for planning and organizing your holiday blogging schedule. It can get overwhelming, believe me I know! Rest assured, I'm writing this post from experience (read: posts that never happened because I was a procrastinator). But I'm hopeful that these tips will help you keep your head on straight, make plan, and make the most of your holiday content. 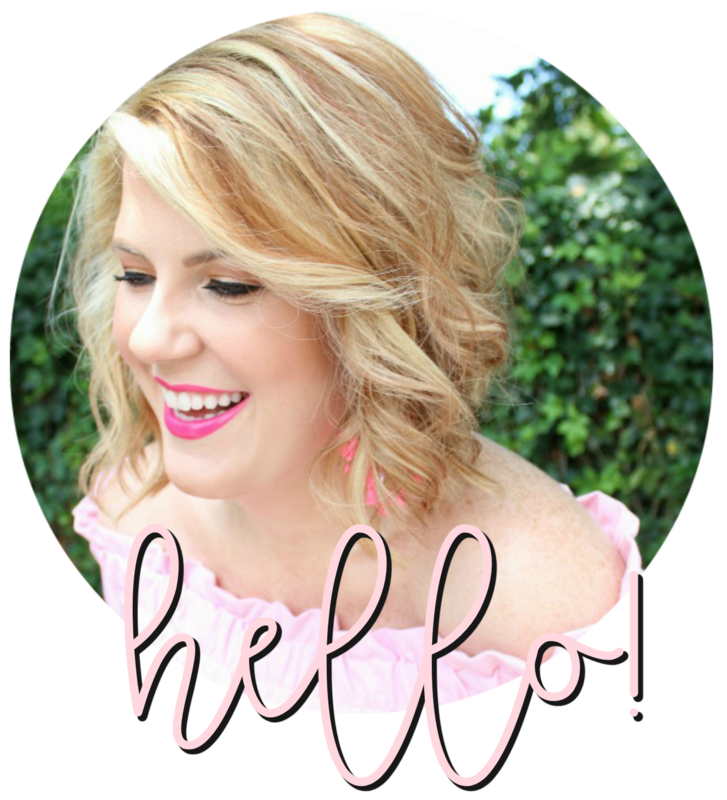 This is such a fun time to be a blogger - enjoy it! ONE // It's November, people. That means all things "holiday" are going to start unraveling in the next few weeks! I, for one, can't wait! You don't want to be down to the last minute scrambling to put together those holiday style posts, gift guides, or how-to posts. Seriously, get out your planner and notepad and start brainstorming right now. TWO // I can't stress this one enough. You don't want to be all over the place with your holiday posts. The holidays are no different than any other time - do what you do best. If you're a fashion blog, amp up those outfit posts. If you're a lifestyle blogger, share a great tablescape or wrapping ideas. Just because it's the holidays doesn't mean you have to become someone else. Continue to do what you do best! THREE // Once you've organized your thoughts and put them on paper, pull out that calendar and start scheduling posts. I find, that once it's in "ink" I want to hold myself to it. This tip is especially important for those us who do a gift guide series. I always start my gift guides the week before Thanksgiving - yes, they're coming! This gives your readers enough time to get ideas from your posts and start shopping! If you have other holiday posts in mind, definitely go ahead and get those on the calendar, too - especially if you're planning on collaborating with other bloggers and/or brands. Which leads me to. . .
FOUR // Now that everything is set, send those emails. People are crazy busy this time of year, so the sooner the better! If you're reaching out to brands, allow enough time for products to arrive and photos to be taken. If you're collaborating with other bloggers, go ahead and send them your pitch and the date(s) for your post(s) so they don't get other things on their calendar. Communication is key this time of year! FIVE // There's nothing I love more during the holidays than when bloggers and brands share "sneak peeks" of projects they're working on (Glitter Guide does this so well!). Your blog is no different! Share behind the scenes pics on instagram or little teasers on twitter of what you're working on - this gets your followers excited and guarantees traffic to those posts when they go live. Great tips! Even though I feel like I should have started planning holiday posts back in July! HI Julie! This is my first time visiting, and I agree the time is ripe to start planning and getting holiday posts together. Do you think people are busy reading blogs on the actual holidays? I was planning to have a post on both Thanksgiving and Christmas, which could stand for a couple of days. Thanks for sharing!